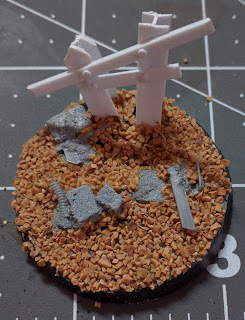 Until now, my objective markers have been kit-bashes of re-purposed bits. Until now. 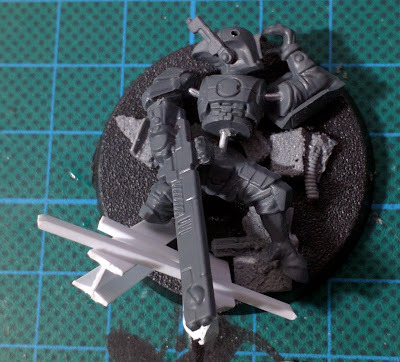 Introducing Mr Tau. 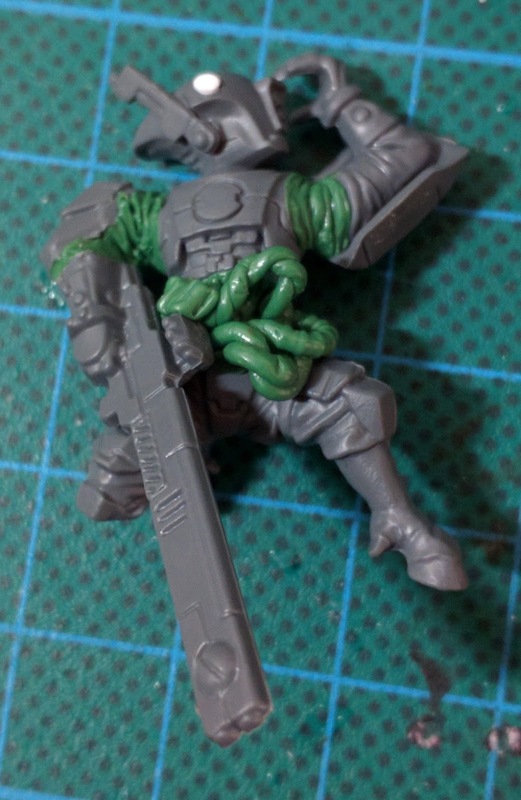 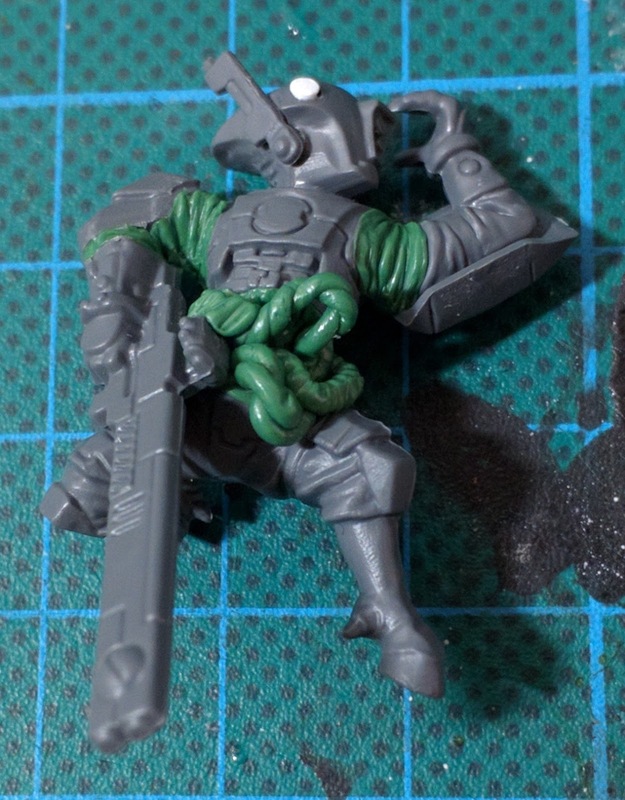 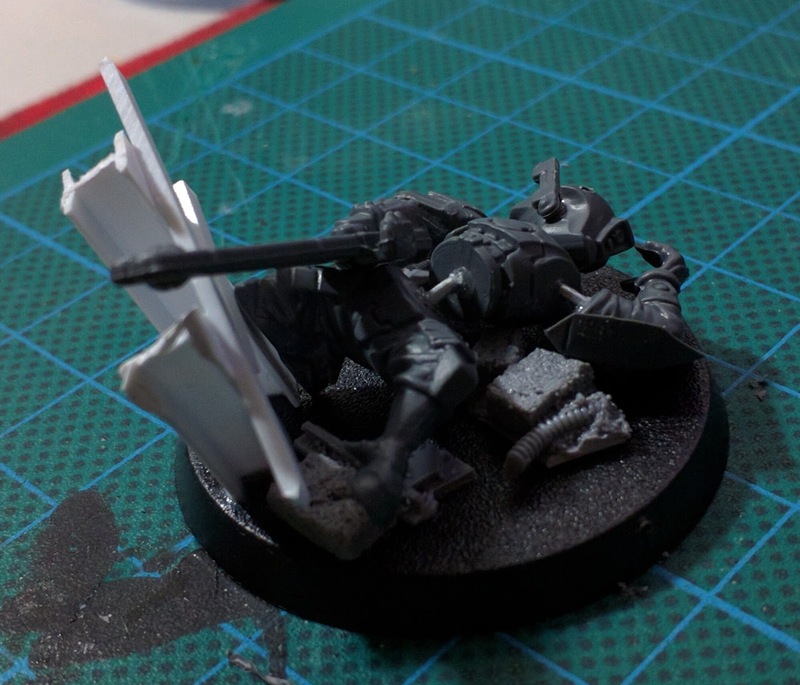 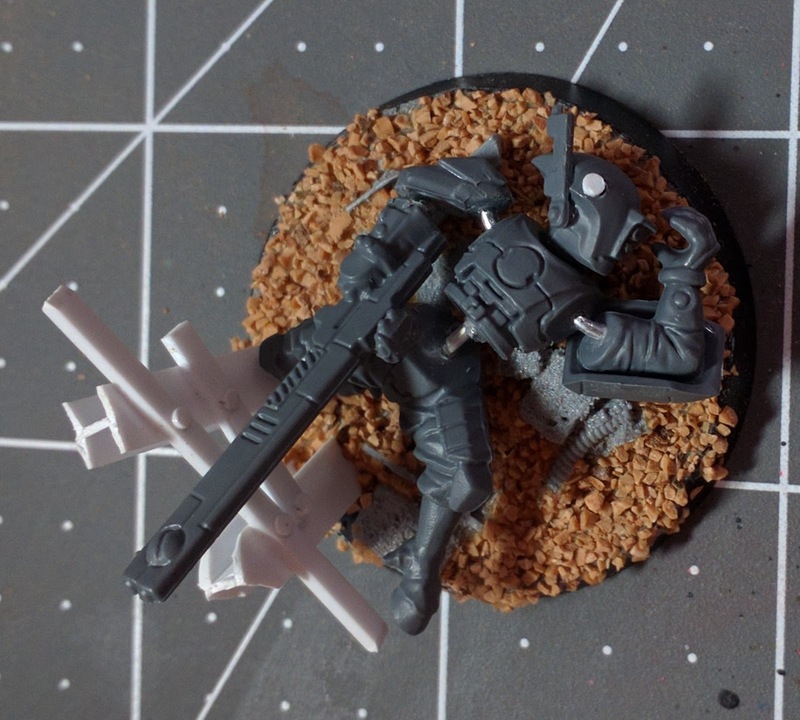 Or rather, Mr Dead Tau. A lot of pins later. Adding ballast to the base. 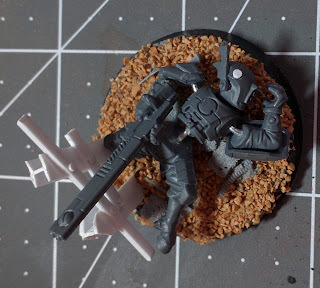 Mr Dead Tau on the base. Now for the spray booth, for priming and painting.